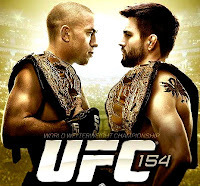 UFC 154: St. Piere vs. Condit Fight Pick & Preview | MMA Fighting Events Videos Techniques UFC Fight Picks and News. This Saturday, November 17, George St. Pierre returns to UFC action! He will try to regain his throne, and once again rule over the welterweight division. Standing in his way is the man that has been holding the interim welterweight championship belt and keeping his seat warm, Carlos Condit. Let's take a closer look at these two fighters, then I'll make my fight pick. If I'm correct, it will add to my UFC main event fight pick winning streak, which currently stands at 10 in a row! George St. Pierre (GSP) is always in the discussion of who's the best pound for pound MMA fighter. He hasn't lost a fight since 2007 and has an overall record of 22-2. With his well rounded skills, GSP is the epitome of MMA's evolution. GSP can beat you with his striking, his ground game and or anything in between. The one knock on GSP is his inability to finish fights. His last 5 fights have all gone to decision. Carlos Condit has an overall all record of 28-5. He's 13-1 in his last 14 fights. Since his last loss back in 2009, he's rattled off 5 wins in a row, including the fight versus Nick Diaz, which got him the Welterweight Interim Championship title. In that five fight winning streak, he's also earned a UFC Knock out of the Night honors twice, and a Fight of the Night honor. Condit is definitely a finisher! 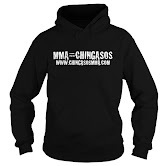 He has 13 victories by way of submission technique, and another 13 wins via KO/TKO. While Condit's victory over Nick Diaz was controversial, his strategy of running away from Diaz and not engaging in a brawl worked to his advantage and showed that he can put his pride aside to do what it takes to survive a dangerous opponent. At UFC 154, Condit will most like employ another cautious strategy. GSP will not chase after him like Diaz did which will make this a battle of who will be willing to engage first. Eventually, I think GSP's rust from his long layoff will do him in and cause an opening that Condit will take advantage of. Look for this to be a cautious fight where Condit will take advantage of a fighter coming off a career threatening injury and a long lay-off.